Super Simple DIY Color Changing Night Light « Adafruit Industries – Makers, hackers, artists, designers and engineers! I hadn’t done a single electronics project for a month, and seeing my Arduino after so long made me pretty excited, albeit a little lost. I felt I needed a small, simple project to revive my familiarity with Arduino. This RGB LED night light was good enough for the purpose; I had all components in my drawers and it didn’t take too much time to make. 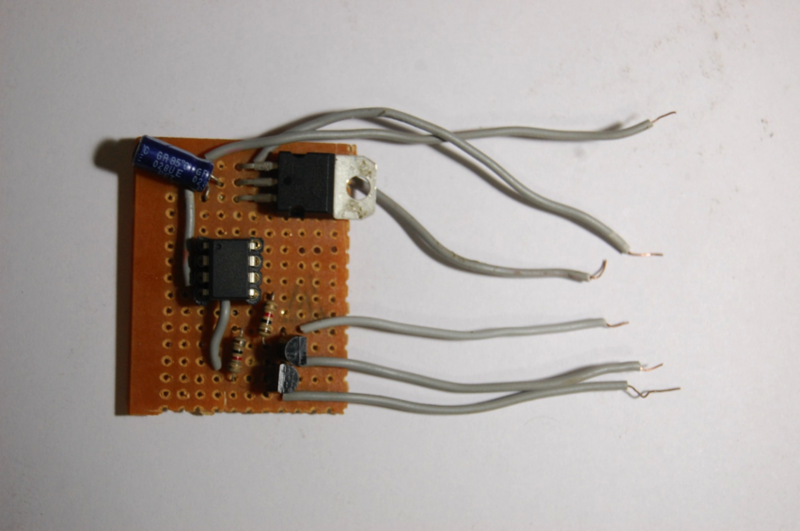 It’s easy to make, and suitable for one beginning to work with wires and solder. Although it took less than a couple of hours to finish, this night light ispretty good-looking, especially in the dark. In fact, it benefits my younger sister, who is delighted having this lamp to illuminate her bedroom at night. 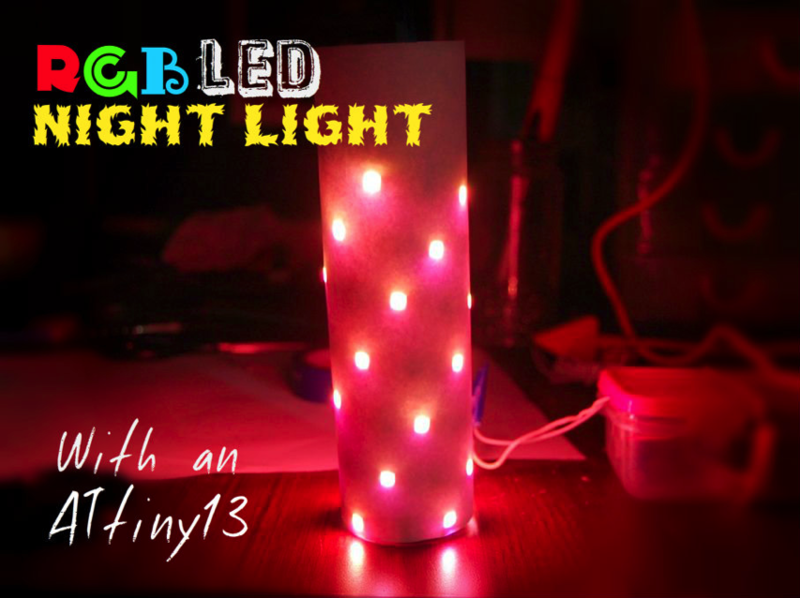 In this instructable, I’ll be showing you how I made my RGB LED Night Light with an ATtiny13 at its heart. Of course, this isn’t a strict guide; you can use your imagination and modify the design of the lamp, change the LED driver code, or even use a totally different circuit!